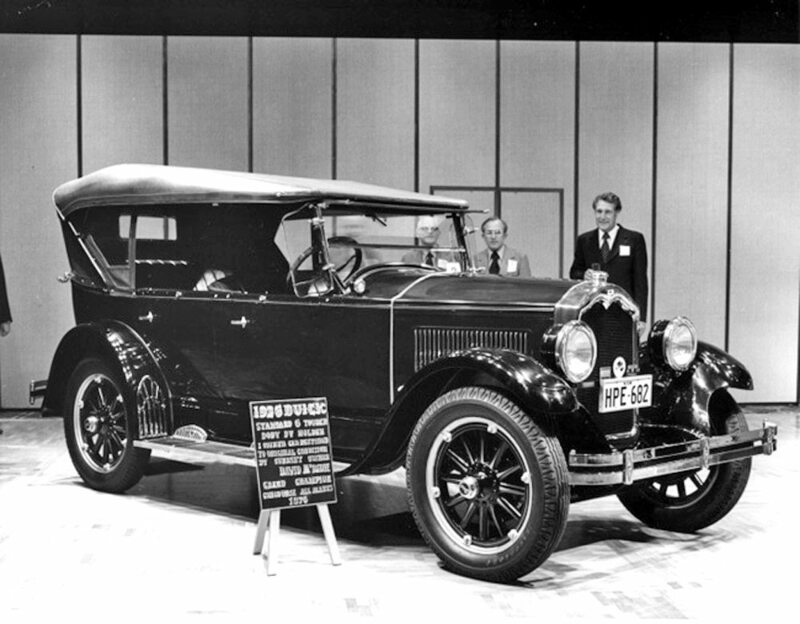 David restored the 1926 Buick Standard Six from a one owner car in original but rough condition. When finished in 1976 it won the CVVTMC Grand Champion award. 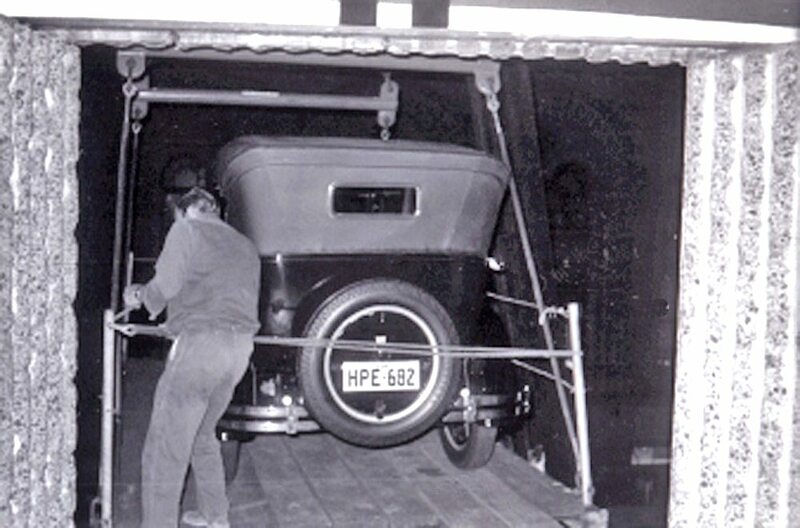 Soon after, Marc McInnes asked David if GMH could borrow the car for a function to be held in the Hilton Hotel in Sydney to celebrate 50 years of GMH in Australia. 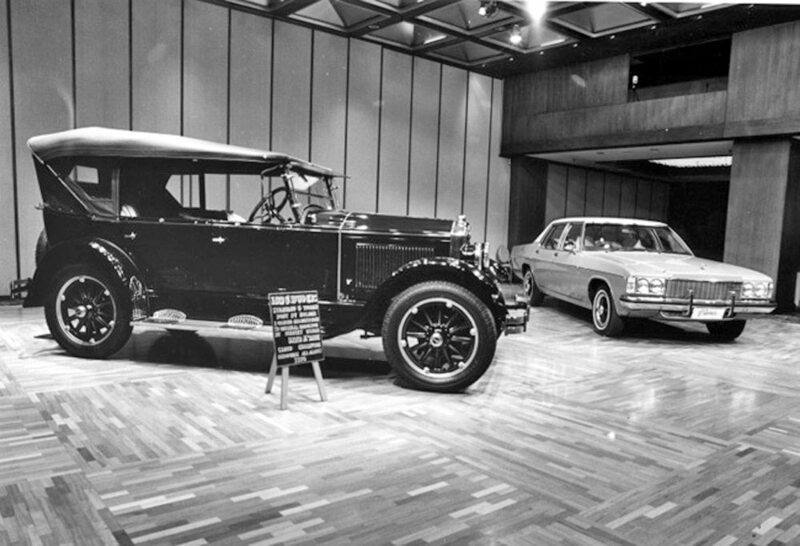 They wanted to display an example of a 1926 GMH car alongside the latest 1976 Holden Statesman Caprice. GMH would need the car for a week and during that time he would be provided with a new Statesman Caprice to test drive. David assumed at the time that there would be ramp to allow the cars to be driven into the hotel display area but that was not the case. 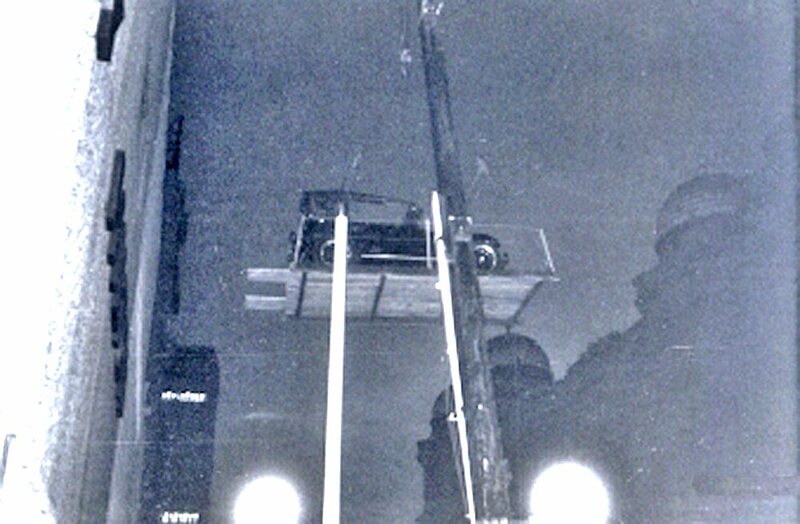 The cars were to be displayed in the grand ballroom on the first floor of the Hilton and the only way to get them in was by crane into a small opening high up on the George Street facade. This necessitated the closure of George Street in both directions so that a large crane could be parked in the middle of the road. 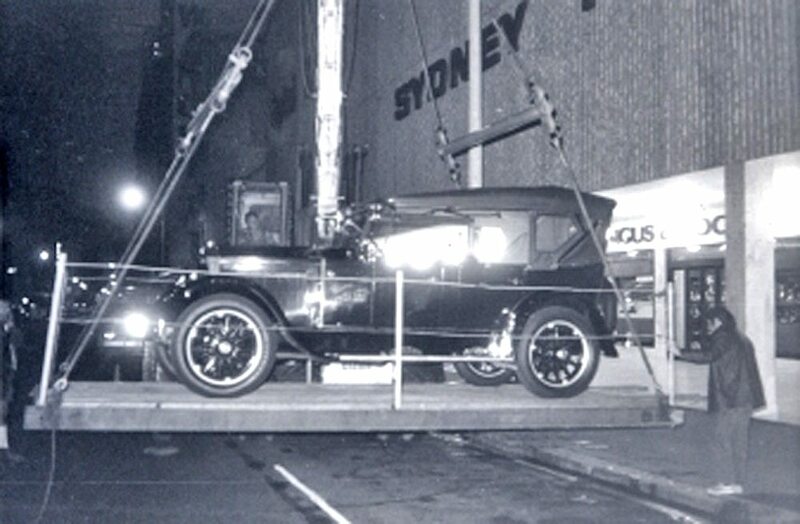 To avoid traffic chaos, the Buick had to be in George St, Sydney by 5am. Marc had offered to have the Buick collected but David declined as he wanted to be there for the lift into the hotel. The facade of the first floor of the Hilton Hotel had two concrete doors that swung out to form an opening big enough for a car. David drove the Buick onto a car sized platform at ground level and it was roped down then raised up to the level of the first floor opening. Then came the hair raising stuff. The platform was tied off at the opening and he climbed into the Buick started it and drove it very slowly off the platform into the grand ball room. The platform felt very unstable and it was a long way above the road. It was great relief to get it back onto firm flooring in the building. David collected the Statesman and drove home greatly relieved that it had all happened without incident, however the relief was short lived because getting the car out later proved to be a more frightening experience. The car had to be driven out of the hotel onto the same small platform but this time it was way up in the air with only a few posts and rope handrails to prevent it overshooting onto the ground below. If the initial lift was hair raising getting it back onto the platform suspended in mid air in total darkness, was terrifying. Arrival back on ground level was a great relief. The function was attended by the Premier and many other VIP’s. A special wine was produced for the dinner and Marc very kindly put aside a case for David. Needless to say it was an excellent wine and was saved it for special occasions so it lasted for a long time. Looking back it was a once in a lifetime memorable experience. David kept the Buick until 1986. He says over the years that he owned the car it was extremely reliable and participated in a number of long distance rallies. Its main problem for rallying was the very low ratio diff that reduced the maximum cruising speed to about 40 mph before the engine revs became a concern. The upside was that it would climb just about any hill in top gear. An excellent old car. Photos below demonstrate the precarious lift to the first floor of the Hilton Hotel.